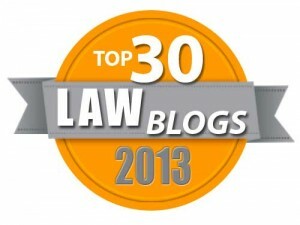 Most lawyers have heard of ADR (Alternative Dispute Resolution) but may not be as familiar with the subset of ADR called ODR (Online Dispute Resolution.) A good primer is contained in our Digital Edge podcast, Expanding Access to Justice through Online Dispute Resolution. Our guest, Colin Rule, is imminently qualified to speak on this subject. He notes that he was trained in mediation by the Quakers in college. He served as first Director of Online Dispute Resolution at eBay. He is now Vice President for Online Dispute Resolution at Tyler Technologies. Tyler acquired Modria.com, an ODR provider Colin co-founded, in 2017. Colin is the author of Online Dispute Resolution for Business and The New Handshake: Online Dispute Resolution and the Future of Consumer Protection. ODR is big and getting bigger. Colin notes "We ended up resolving 60 million disputes per year at eBay, which depending on how you count, is bigger than the US Civil Court system, so that was hundreds of millions of disputes over the years that I was at eBay. But Amazon does more disputes than eBay does, and there’s another company called Alibaba, which is a big e-commerce marketplace in China that does more disputes than Amazon." ODR is also growing in Europe. But don't be surprised if you see this coming to an area near you soon. According to Colin, the National Center for State Courts just put out a white paper discussing the development of ODR, sharing some best practices gleaned from various courts. 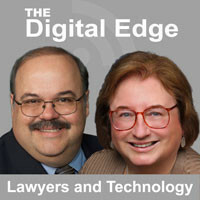 Check out our Digital Edge podcast, Expanding Access to Justice through Online Dispute Resolution. For those who would prefer, the Legal Talk Network now provides a transcript of the podcast at the same link.